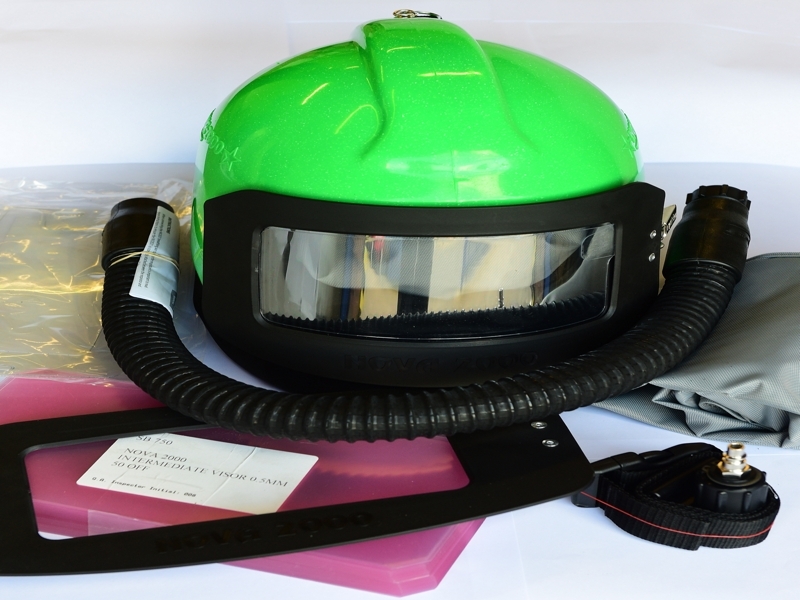 The Nova 2000 blast helmet is a light-weight blast helmet featuring pillow foam padding for comfort and noise reduction. It benefits from an advanced air duct system to reduce lens fogging and to ensure the internal temperature remains comfortable. A built-in communication system is encased in the pillow foam padding and features a noise-cancelling microphone. The visor features pre-folded tabs ensuring the operator tears off one lens at a time achieving time savings in the working day.